Can you believe that the month of June is already over? I really can't, it went by incredibly fast. Unlike last month, this month is jam packed with great discoveries! Make sure to watch the video and stick around till the end for some bloopers. *SPOILER ALERT* I may have dropped another product. When I saw this DIY on the blog, Lips So Facto, I knew I had to recreate it but add my own twist to it. The original DIY was for a flu-soothing soak, but since the weather here in California is a little too warm for a peppermint bath soak I've created a nice fresh and cirtrusy bath soak for the summer. What better way to get through the week than with a new playlist? Am I right? So if you follow me on either Twitter or Tumblr you'll know that I'm a huge Sofia Coppola fan. I've been a fan of her work for a good couple of years now, so you can imagine how excited I was when The Bling Ring came out. To commemorate the release of her fifth film I've decided to turn June's playlist into a Sofia Coppola playlist! These days it seems like every company has long lasting eye shadows which can cause one to wonder "which one is worth my money?" Well I've come to the conclusion that price does not always equal the best quality. While I love the Benefit Creaseless Cream Shadows I just can't bring myself to shell out $20 for each color that I want but luckily there is a cheaper alternative. May I present you the Maybelline Eye Studio Color Tattoo 24HR Cream Gel Shadow! I'm hosting my first Posh Party! I'm very excited to announce that I'll be hosting my first Posh Party! Posh parties are virtual parties which take place in the Poshmark app (which is a free app for the iPhone and iPad). 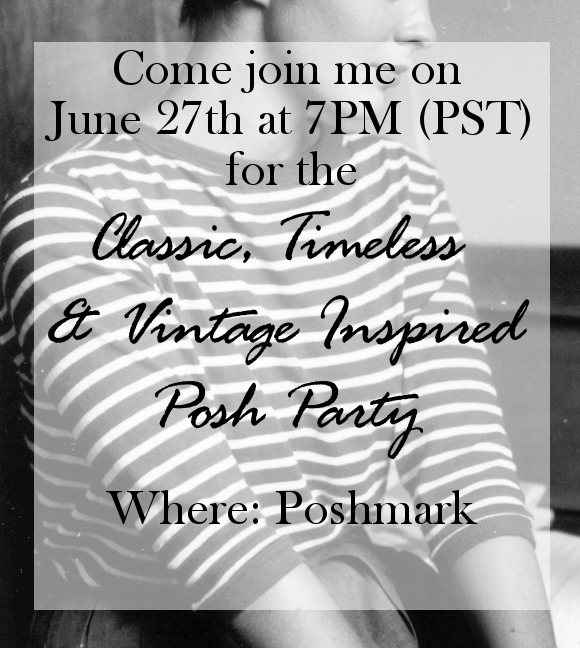 Join me and thousands of women across the country for the Classic, Timeless, and Vintage Inspired Posh Party! 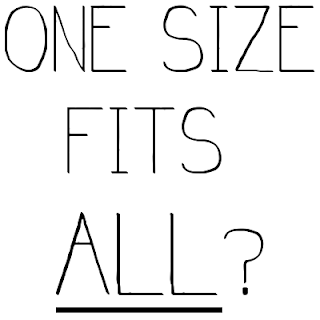 I'll be sharing 50 items that fit the theme and also live tweeting during the party. Also if you use the code HKKEP when you join you'll receive $5 Poshmark credit. Please RSVP here so I know who's planning on participating. I can't wait to interact with all of you next Thursday! Have a great weekend everyone! Terrariums are such an easy summer project that will instantly liven up any space in your house. You can place them by your window, on your desk, or another well-lit spot. Cacti and succulent plants rarely need to be watered so they're very low maintenance plants. All you need is about 30 dollars and 30 minutes to make your own adorable terrarium filled with bright succulent and cacti. So there's a new nail trend in town! This trend is not about a specific color for the summer but actually a texture. Say goodbye to your glossy nails and hello to matte textured nails! Seems like every nail polish brand from Zoya to China Glaze are getting in on this trend, so when I saw that Sally Hansen had their own spin on it I knew I had to pick it up. Who doesn't like nail art in a bottle? The last thing a beauty addict wants to know is how much money she's spending on products. Well this tag can be a beauty addict's worst nightmare. I saw this on my friend's blog eyeheartmakeup, and I thought it was a very interesting tag. I know beauty gurus and bloggers have done the popular $20 makeup challenge and other drugstore related posts but we all know that the products featured are sometimes not part of their everyday products. So how much money are you spending on your everyday face products and makeup? 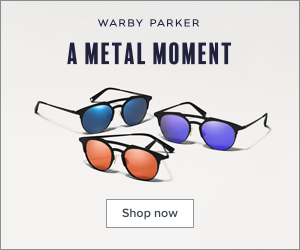 Warby Parker week is now coming to a close and what better way to wrap things up than to review their Home Try-On Program? Want to hear about more about the company and how you can try on glasses at home? If so click below to read my in-depth review about Warby Parker and their Home Try-On Program. Happy Friday everyone! I'm here to share with you that next week will be all about glasses- Warby Parker glasses to be more specific. I am a nearsighted person so I have to wear glasses every time I drive, go to the movies, or when I attended classes. I personally love wearing glasses so when I was contacted by Warby Parker to test out their Home Try On program I was very excited because I was already very familiar with the brand and have wanted to purchase a new pair of glasses from them for a while now. Come back next week to see what frames I chose to try out and to read my review on the Home Try On program. Tarte recently had a 20% coupon code which I got really excited about. Tarte is just one of those brands that despite the fact that I love their products, I just can't seem to bring myself to purchase their items in their full retail price. What can I say? My broke college student habit has stuck with me event now that I've graduated. I love traveling so when I saw Estée from essiebutton do this tag I KNEW I had to do this. Hope you enjoy hearing some of my travel stories. For pictures and more information, check out my study abroad blog De San Diego à Paris. Whenever I think about spring and summer one things comes to mind- bright lipsticks! Bright shades of pink, coral, and orange look amazing during sunny days. I'm a little bit of a lipstick fanatic so it took a while to pick my favorite shades for the upcoming months.